The campaign period for the University of Toronto Mississauga Students’ Union (UTMSU) elections are in full swing, and the executive candidates faced off at UTM’s Blind Duck Pub in a two hour debate on March 1. There are two slates competing in this year’s election compared to four last year. No incumbents are running for re-election, and two of the candidates are UTMSU associates. The slates, Fresh UTM and UTM First, presented platforms that advocate for international student rights, U-Pass expansion, and healthier food options on campus. Running for President with Fresh UTM is Salma Fakhry, who is Associate to the UTMSU Vice-President University Affairs and Academics. Her platform includes providing accessible education and reviewing UTM’s student centre expansion. Alex Gignac is UTM First’s presidential candidate. Gignac’s platform advocates for a tier rewards system for club funding, which would see more funding provided to new clubs that participate in more events. Additionally, he advocated for U-Pass expansion throughout Brampton and Oakville. All UTM students are provided with a U-Pass, which allows for unlimited access to MiWay for a mandatory fee charged to their student accounts. 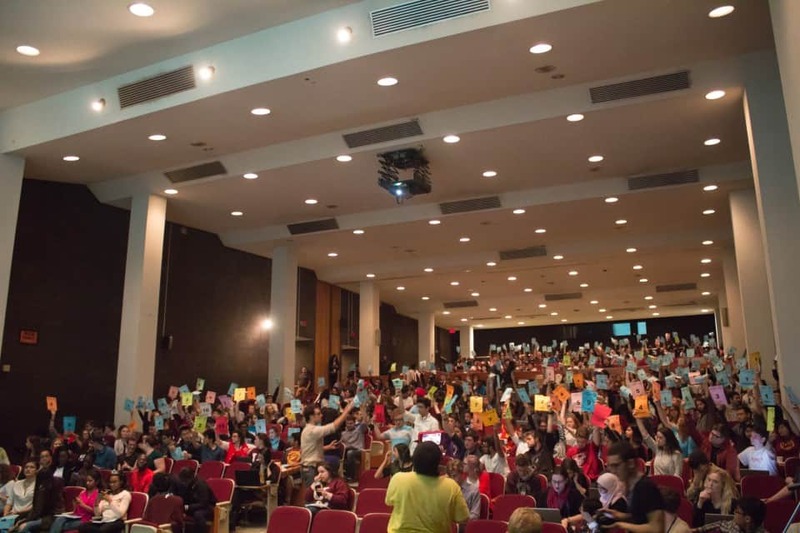 When asked about the student centre expansion, Fakhry stated that at the last UTMSU Annual General Meeting, students voted ‘yes’ on a student centre expansion. Vikko Qu from Fresh UTM is running unopposed for Vice-President Internal and Services. His platform focuses on expanding limited accessibility and study space on campus. Qu proposes making the U-Pass GTA-wide. When asked how he plans to establish a GTA-wide pass, Qu noted that he was involved in the GTA U-Pass conversation last year as Associate to the Vice-President Internal. Ali Taha is UTM First’s candidate for Vice-President External. Taha, who currently serves on the UTMSU Board of Directors, stated that his goal as Vice-President External would be to unite the three campuses. He also aims for a diversity of opinions on campus. Jose Wilson is running for the same position with Fresh UTM. Wilson’s platform is centred on activism for part-time students. The Vice-President External candidates were questioned at the debate on how they planned to reinstate the Ontario Health Insurance Plan (OHIP) for international students. Taha stated that, after some research, he learned OHIP was rescinded for international students in 1994, as the government did not feel it was feasible to implement the program for international students. He noted that re-instating the program for international students would be very difficult and instead advocated for increased support for international students. “I would like to see more support and services for international students, like international ambassadors to be able to be appointed as [the point of] contact for international students when they get here,” said Taha. Wilson noted that he is an international student, that he understood how expensive the University Health Insurance Plan (UHIP) is, and how it lacks coverage. Sagal Osman is running for Vice-President Equity with UTM Fresh. She cites her experience as an executive with the Black Students’ Association as a reason for her involvement. Osman wants to expand safe spaces on campus in addition to combating Islamophobia, sexism, and racism on campus. UTM First’s Vice-President Equity candidate is Mduduzi Mhlanga, who wants to focus on finances and on-campus affordability. The Vice-President Equity candidates were asked about how they planned to implement the Sexual Violence Policy at UTM. “Our human rights need to be advocated for and spoken for, and if we can’t do that then we need to change that right now,” Osman said. UTM First candidate Christina Khokar wants students to have a better understanding of tuition fees, along with more information sessions related to tuition. Khokhar advocates for increased opt-out options from fees and levies. Fresh UTM candidate Maya Tomkiewicz stated that students are often unaware of what is included in student policies. She is advocating for increased visibility of these policies on campus. When asked what the governing council on campus does, Khokhar stated that UTM operates as a democracy. “I also want to improve this process by having a longer election period so we can get across to more people… right now, our voter turnout is only 35 per cent… I think everyone should have a voice… and I think everyone should recognize the value of these elections,” she said. Tomkiewicz then advocated for further representation of students on the council. Voting takes place from March 7–9 at Davis Building, Instructional Centre, CCT Building, and Deerfield Hall. A post-mortem analysis of the recent University of Toronto Students’ Union (UTSU) spring elections reveals a series of insights on the evolution of campus politics over the years: most notably, the increasing role politeness and geniality, rather than substance and pragmatism have come to play in campaigning. The recent history of union elections is checkered with conflicts that have typically hinged on significant and divisive issues; the threat of divisional defederation comes to mind. Much of that discourse was difficult, some of it bordered on ad-hominem attack, but the impassioned debate overwhelmingly had the best interests of students at heart. That tradition seems to have entirely given up the ghost however, as this campaign season was the most vapid in some time. No one misses histrionics of the past when it comes to debate performances or campaign statements, but something vital was lost with the bathwater as this year’s candidates wasted opportunities to scrutinize one another on specifics. Few of the candidates were willing to engage with the details of their campaign promises, many chose instead to pay brief lip service to the core mandate while focusing on grandiose ideals. Providing for medical and dental coverage, consulting with administration on academic life, protecting and promoting equity, and advocating for student issues are important and valued contributions, though they reflect the limit of what the union can realistically achieve. Propositions such as bringing about free tuition province wide, constructing and staffing a 24-hour mental health centre on campus, or bringing international students coverage under the Ontario Health Insurance Plan (OHIP) are not promises, they are platitudes. Airing the notion that projects of this magnitude fall under the UTSU’s purview and potential is not only foolhardy, it’s irresponsible. Proposals like these reveal some insidious trends in UTSU electioneering: either the candidates include them in their platforms knowing full well that they are unachievable, or they don’t know and haven’t taken the time to look into it. Both are bad. Unfortunately, the only incisive questioning during the Executive Debate came from the moderators and audience, most of which went unanswered. The issue is complicated further by an undergirding skepticism and distrust of the provincial government and U of T administration. Often, prospective student leaders hurl vitriol at these bodies in an attempt to scapegoat and draw undeserved attention to the power and purpose of the student movement. Yet, the administration and government are not necessarily the enemy, and certainly aren’t worth provoking with contemptuous grandstanding. 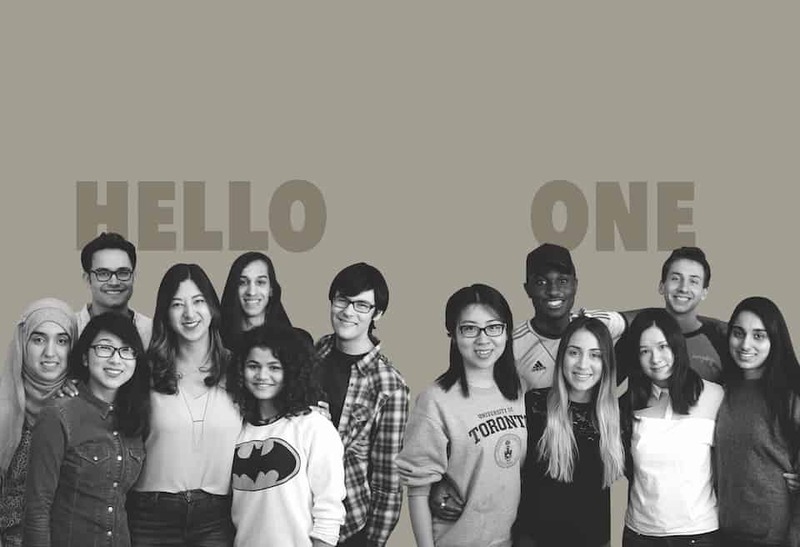 The reality of the situation is that the success of anything the UTSU hopes to achieve in a given year, big or small, is inextricably linked to decisions made by these groups. The provincial government and U of T administration are not intransigent gatekeepers. They are our partners. Bombastic promises like the ones thrown around during the Executive Debate and throughout the campaign represent little more than diversions, drawing focus away from the big-picture impotence of the union, and in some cases the lack of preparedness of the candidates. It certainly isn’t a new phenomenon, nor is it one that is unique to student politics, but that is not reason enough to excuse it in our community. There are meaningful and substantial things the UTSU can achieve, but those things tend to take a back seat when candidates are fighting for the lion’s share of support. Building a platform on unreasonable, or in some cases unattainable ideals is irresponsible and part and parcel of the UTSU’s mandate crisis — 9.7 per cent of eligible voters participated in last week’s elections —insofar as students are not willing to engage or endorse leaders without realistic plans. This bankruptcy of substance is a disappointing turn of events for the UTSU after a year that was shepherded in with high hopes. Brighter UofT ran on a pledge to clean house and initiate a process of responsive and responsible governance — though in recent months the union and especially its returning executives have remained hard to pin on the outstanding question of membership in the Canadian Federation of Students (CFS), which most will remember was implicitly at the core of their run for office. When pushed on the topic at the Executive Debate, now president elect, Denike and 1UofT candidate, Madina Siddiqui were expectedly non-committal, offering some variation on the “whatever the students want” response. The students, at least the ones still willing to participate, handed the UTSU a pretty clear indication of their wants last year when Brighter was elected and a CFS affiliated, slow-to-act cycle of incumbencies was brought to an end. As of yet, the implicit promise at the heart of Brighter’s success last year remains unfulfilled. 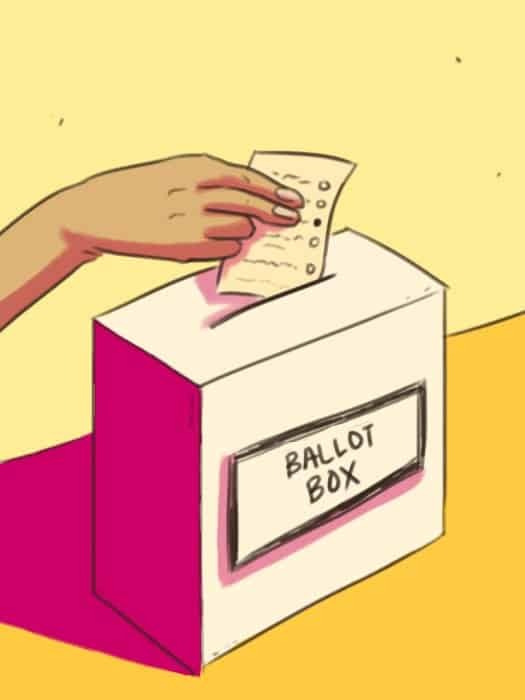 If the UTSU wants to make itself more relevant on campus, it can start by engaging students in a responsible way during elections with respect to what can be achieved, and how. 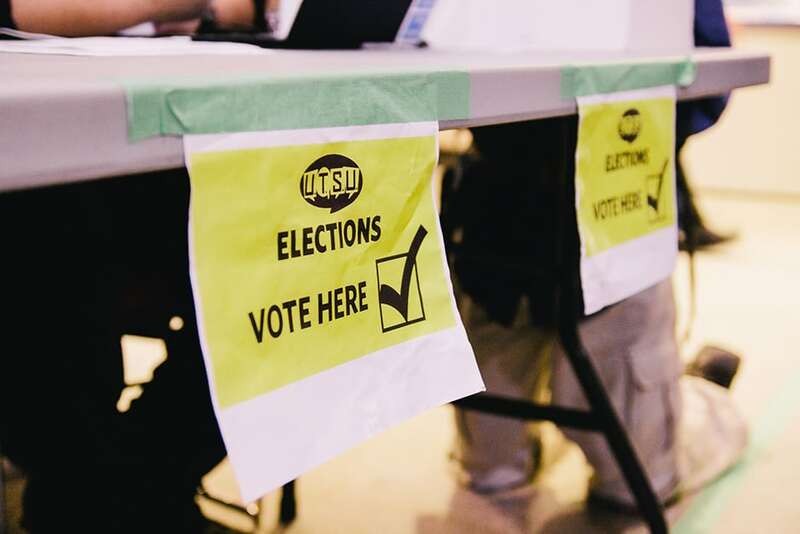 Unite UTM won an overwhelming victory in the University of Toronto Mississauga Students’ Union (UTMSU) elections, securing all five executive positions, unofficial results indicate. There were a total of four slates in this year’s elections, and a handful of independent candidates. Current vice president, university affairs Nour Alideeb is the president-elect and won with 1,717 votes. Ridwan Olow, presidential candidate with UTM Focus, received the second-most votes in the election with 479 votes – roughly a third of those received by Alideeb. The results for the other executive positions revealed a similar distribution of votes. Jackie Zhao will fulfil the role of vice president, internal & services and was elected with 1,811 votes. He will be joined by Vanessa Demello, who won her position with 1808 votes. Marise Hopkins is the vice president, external-elect and received 1,612 votes, and Maleeha Baig will be vice president, equity. Baig won with 1,732 votes. For each executive election, there were between 51 and 60 spoiled ballots and between 60 and 98 abstentions. The new executive will take office on May 1, 2016, after the results of the election are ratified.